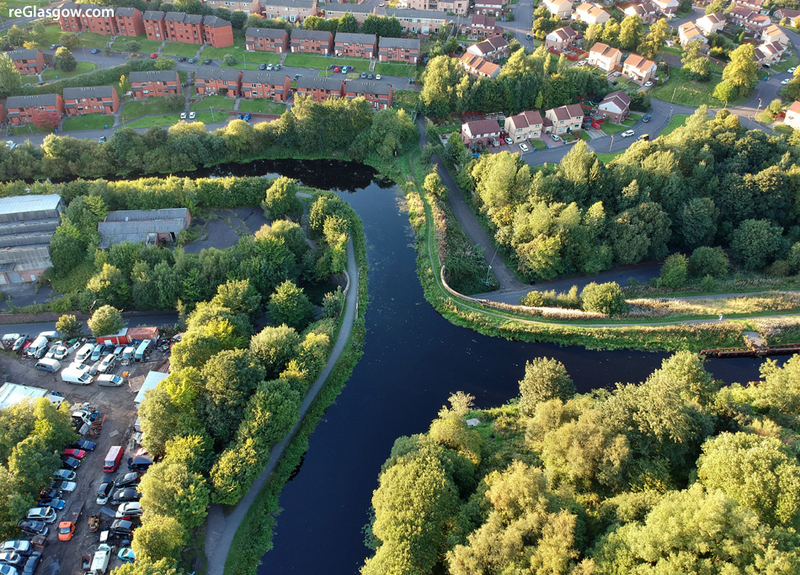 SCOTTISH Canals has applied for planning permission to build a three-way bridge on the Forth and Clyde Canal in Glasgow to solve a “200-year-old access conundrum” and connect local communities. 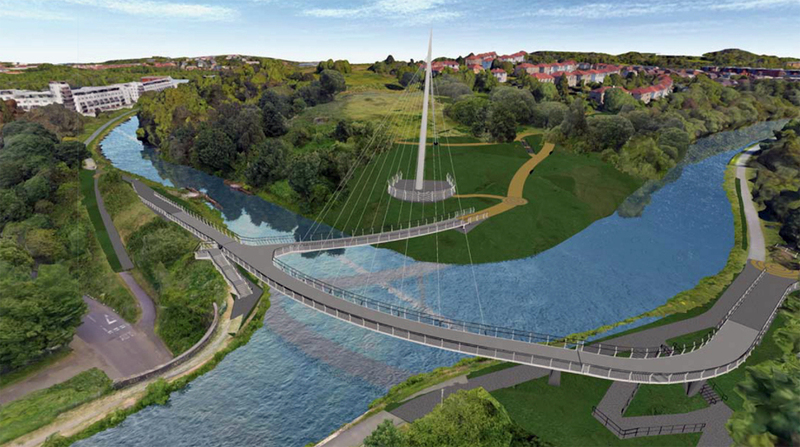 The structure will carry a 3.5-metre-wide shared pedestrian and cycle route over the canal onto upgraded towpaths at Stockingfield Junction by Lochburn Road in Maryhill, Glasgow. Documents submitted with the planning application state the bridge would reconnect the towpaths which were severed following construction of the Bowling canal branch in the late 18th Century and would link Ruchill to the Gilshochill and Maryhill communities while creating a “functional open-air space” for the community and towpath and canal users to enjoy. The derelict eastern, Ruchill embankment will be turned into a park with observation deck, a zig-zag path and steps up the hill to local communities, high-quality railings, hedges, trees and seating.and a new towpath with mooring points for future canal berths. 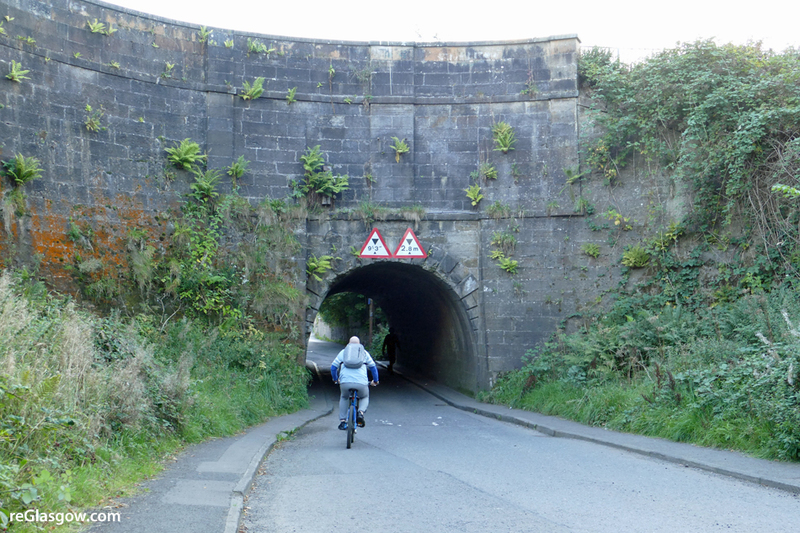 At present, walkers and cyclists heading to and from the Bishopbriggs/Kirkintilloch/Falkirk side of the canal to and from the section between Maryhill and Speirs Wharf have to go via steep slopes and a narrow tunnel under the canal shared with vehicles on Lochburn Road. A design statement explains: “It is essential that this 200-year-old access conundrum is firmly and imaginatively resolved. “The new crossing will allow pedestrians, runners, cyclists and people making every day journeys along the canal to cross over rather than having to negotiate the existing Lochburn Road footways under the canal aqueduct which are sub-standard and potentially hazardous. It continues: “The existing Stockingfield Junction does not provide a reason to stop and enjoy the space, the derelict land on the Ruchill side is used by locals for dog-walking, but also for anti-social behaviours, and the route along the canal towpath is torturous through a dangerous tunnel. “The new park and three-way bridge create a whole new lease of life for the land and provide new uses and opportunities for its visitors. The bridge provides clear and legible routes connecting the core path networks in a logical route and connecting the three local communities currently split by the canal. “The new park creates a safe and usable space for locals to visit. The seating throughout the space allows people to stop and enjoy the views and spaces or just have a rest along their journey. “Public engagement in the design process uncovered the public desire for a larger observation deck. The new observation deck creates a positive space for multiple uses, as well as allowing visitors to take in the long view out of the park. “The Ruchill, Gilshochill, Cadder and Lambhill communities will benefit significantly. 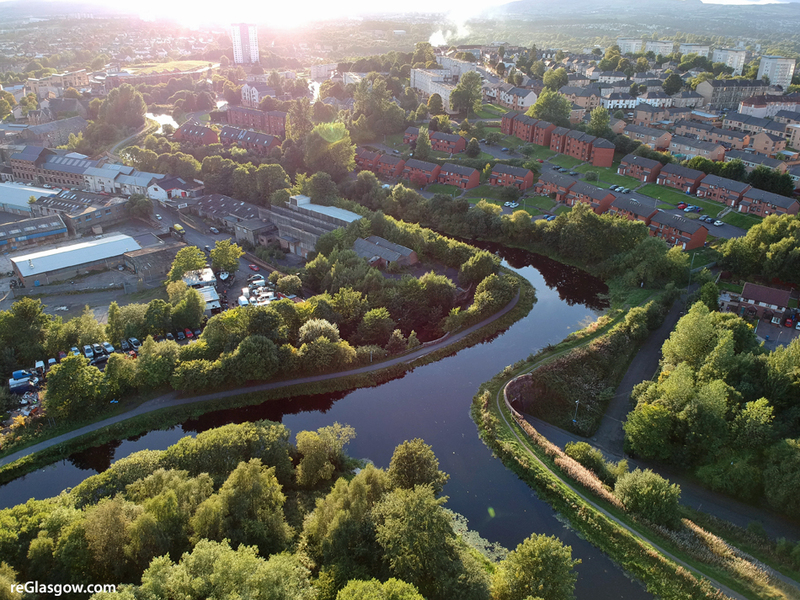 All the investment and waterspace initiatives currently being explored and implemented by the Glasgow Canal Regeneration Group will become instantly more accessible to these communities. Ongoing monitoring by Scottish Canals estimates that year on year pedestrian use of the towpath on the Clyde and Forth Canal saw a 67 per cent increase between 2011 and 2015. Glasgow City Council has already started to implement an investment programme that will see the towpath surface upgraded between Lambhill, the Kelvin Aqueduct and Port Dundas. Towpath access points are also being reviewed and upgraded. The planning application is pending assessment by Glasgow City planners.